On this week’s Energy Gang podcast: sifting through the criticism of government energy projections. What will the U.S. grid mix look like in 2050? It depends on which models you follow. 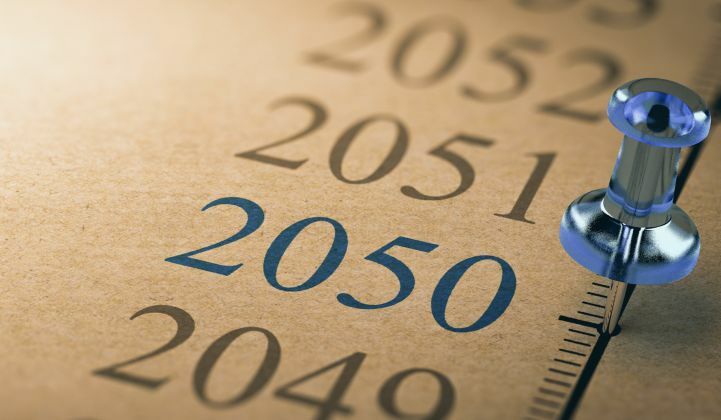 The future according to the Energy Information Administration's latest report: Wind will stop growing, coal will stop declining, demand for electricity will keep going up, and emission reductions will moderate. A lot of people are unhappy about it. It's no secret that EIA is ultra-conservative in its modeling. But why is there such a disconnect from the technological and economic shifts in energy markets? And why does EIA have such a hard time mapping technological change? We'll offer some solutions to the government's data problem. Then: Cancel your trip to Disneyland, stock up on Coca-Cola, and hoard as many iPhones as possible. We'll look at how the world’s biggest companies are detailing their risks associated with climate change. Finally, we'll end on a philosophical note: Who is to blame for climate change? Individuals? Companies? Governments? We'll take a cue from an articulate 16-year-old in Davos. Don't forget to rate and review us on Apple podcasts. We're giving away a free subscription to GTM Squared to the person who writes the most interesting review by February 1. Subscribe to The Energy Gang podcast via Apple Podcasts, Spotify, Google Podcasts, Stitcher or wherever you find your audio content.